The Burrows Trail is a great way to explore one of Vermont's most unique peaks, Camel's Hump. It's also one of the few Green Mountain summits with a clear view above treeline. 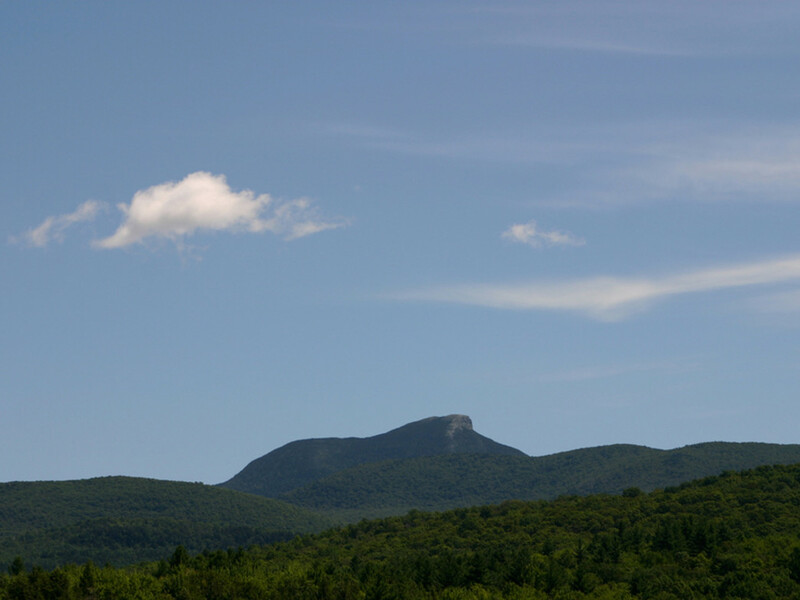 At 4,083’, Camel’s Hump is one of Vermont’s tallest peaks and by far its most distinctive profile. The exposed alpine “hump” offers spectacular 360 degree views of Lake Champlain and the Adirondacks to the west, the Green Mountain ridge from north to south and the Worcester range just to the northeast, and a number of sloping peaks drifting southwest into the Champlain Valley. On a clear day, look for the Presidentials to the east. Burrows Trail is a classic Vermont hike full of steeps, switchbacks and streams. In intensity and payoff Burrows feels like a full day hike, but it’s quick enough that you can go out for brunch in Burlington before committing to it. The trail is busy and wild animals tend to stay away—not a bad thing, considering this is bear and moose territory. Listen for birds and watch for interesting plant life as the altitude changes. You won’t regret bringing binoculars, a camera or an extra layer. There are several routes up the Camel. Burrows Trail by way of the Huntington access is one of the best traveled (the other is Monroe Trail via Duxbury). 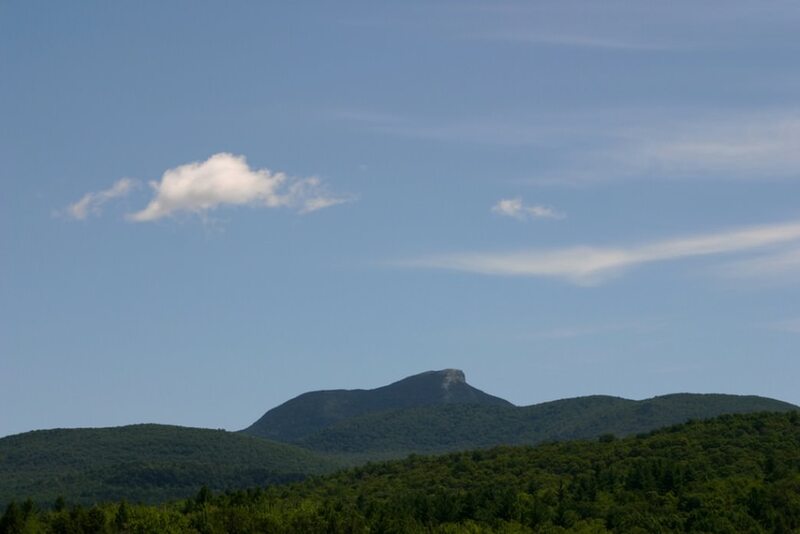 The trailhead is about a half hour from Burlington: drive through Huntington Center and take Camel’s Hump Road to the Burrows and Forest City trailheads. Forest City connects to the Long Trail and is a good hike extender if you’re looking for an extra challenge. The Burrows Trail route is just shy of five miles and makes a steep, satisfying three or four hour hike through hardwood and pine. There is a clearing a few hundred feet from the summit. Take a break and note your route—trails intersect here from three different trailheads, and you really don’t want to take the wrong way down. The last stretch is a rocky scramble followed by a gorgeous traverse around the peak. The broad alpine summit has plenty of room for picnics and pictures. During summer and early fall weekends the trail can feel like an alpine community center. Expect lots of company—and whether or not you live in the area, don’t be surprised to run into someone you know. Burrows is satisfying for almost everyone. It’s a burner, but short and interesting enough for kids and infrequent hikers. For hikers building up stamina and confidence, this is a great first 4,000-footer. If you hike with poles, you’ll want them. Seasoned hikers can continue on spikes or snowshoes into the winter months. On weekends and during late summer/early fall you may need to park on the side of the road. The Forest City connector trail has a small parking area about a mile before the main lot. Portable toilets are available at the trailhead. Dogs are welcome (and plentiful); they must be leashed at the summit. 10 Eco-Friendly Ski Resorts That are Leading the Way for Sustainability in the U.S. The Curious Case of the "Bennington Triangle"